With no phone or console and 5:30 a.m. wake-up calls, the 16-year-old initially struggled to adjust to the rigors of life at the boarding school on the outskirts of Ho Chi Minh City. She also didn't take to Vovinam, the acrobatic, high-kicking martial art created in the 1930s by borrowing elements of kung fu and other Asian disciplines. But she had little choice. An is among around 300 teens at the Research Institute for Vovinam and Sport Development (IVS), where the physical and emotional control demanded by Vovinam is used to wean kids off screens and addictions to booze and drugs, and to ease depression. After a few dark weeks, An -- full name Tran Nguyen Nhat An -- finally started to emerge from her malaise. "I was just depressed, in my room. I never exercised, I never talked to anyone... here I can talk to everybody," she said, wearing her blue two-piece Vovinam uniform as classmates sparred on mats nearby. "I practice (Vovinam), exercise, so my health is getting better. Maybe that's helping my emotions getting better too." Millions of youngsters like An are glued to online gaming in Vietnam, where some 30 percent of the population of 93 million have smartphones and about half have internet access. League of Legends and "Dota" are favorites, especially among the booming population of under-30s. Though no nationwide official data on gaming addiction exists, paediatric psychiatrist Lam Hieu Minh says he's seen a rise in visits from kids hooked on screens. They usually suffer from anxiety and sleeping disorders, attention deficit issues and even depression and eating disorders. The World Health Organization agrees: earlier this year it said "gaming disorder" would be added to its compendium of illnesses. Sport can be an important part of treatment. "Physical activities such as martial arts are very good for children to help them get healthy entertainment and meet friends," said Minh. IVS was set up in 2009 by Vovinam Master Pham Quang Long to treat unruly youngsters aged from 13 to 19. Inspired by a Soviet educator who ran orphanages based on the principles of collective education and character-building work for children, Quang adopted a similarly tough-love approach. There are around 1,000 kids enrolled at all five IVS campuses, where tuition costs about $330 a month and pupils are allowed a visit by parents once a month. Students must adhere to a strict schedule from dawn until bedtime around 10 p.m. that includes academic courses, music lessons and physical exercise. Most days, that includes Vovinam. 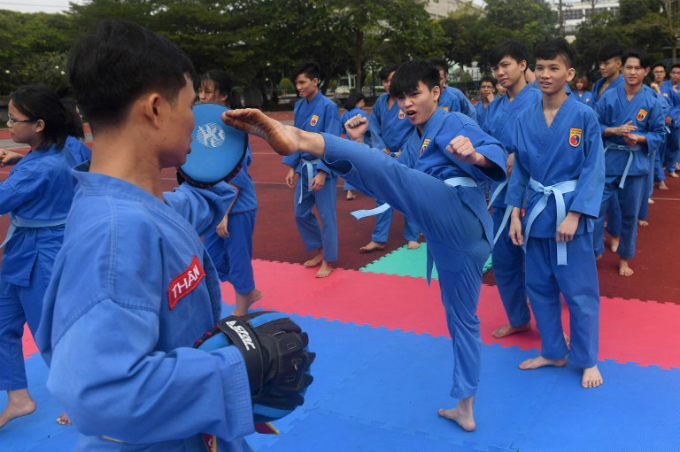 "They have to overcome (personal) difficulties by practicing martial arts, it gets rid of old habits and laziness," said IVS deputy director Dang Le Anh. "Military discipline and martial arts help the student to become better and better". Early Vovinam protagonists were inspired by nationalist movements during the French occupation, eager to learn self-defence and develop a uniquely Vietnamese martial art. But the sport was forced underground in the 1950s by French rulers who wanted to extinguish nationalist sentiment of any kind. It reemerged in the 1970s, eventually becoming a global movement. Today, there are Vovinam federations all over the world. Nguyen Quang Hieu says the sport has transformed him from a gaming-addicted rebel to a disciplined young man. 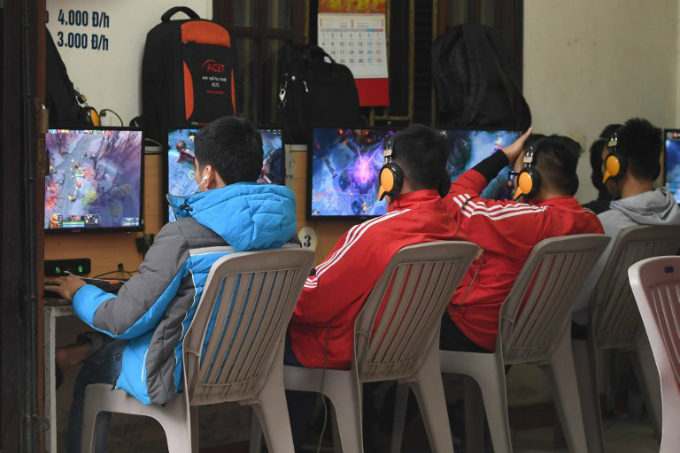 Before he arrived at the school three years ago, he was gaming for up to 14 hours a day, leaving the house for long stretches and spending countless hours at internet cafes. 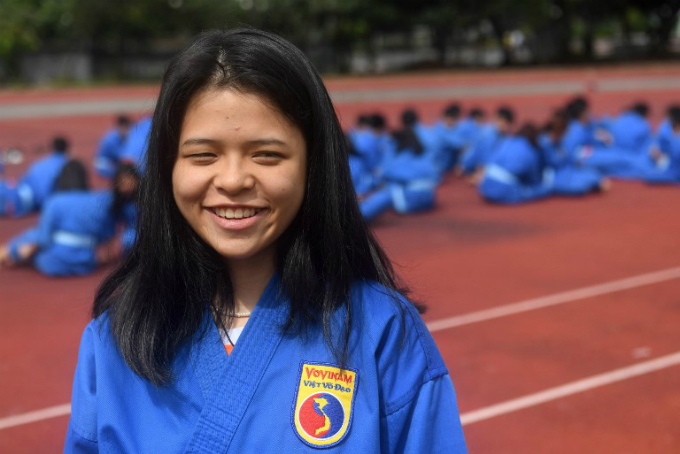 "I live an orderly life now and I don't try to disobey my parents," said 16-year-old Hieu, who now competes in Vovinam tournaments. "I've given up games and become a new person."